In incredibly humid environment such as South Florida, mold is a very common problem. Mold can result from roof leaks, AC leaks, hurricane damages, bursting pipes and many other factors. 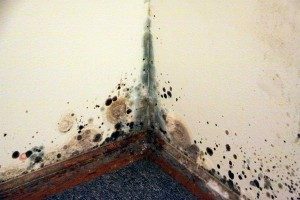 No matter the cause, mold damage is an unsightly problem which can even be dangerous in some circumstances. If your property has mold damages, it’s important to remedy the situation as quickly as possible. Our team at Florida’s Best Public Adjusters can help repair your property with assistance for mold damage insurance claims in Boca Raton. Don’t let mold take over your home, count on our services to revive your property. Mold isn’t just unsightly, it’s an organic threat which can damage your home and your family’s health. Mold can agitate allergies, callusing sinus congestion, a runny nose and itchy eyes. It can also agitate asthma, increasing the intensity and frequency of symptoms. Some strains of mold can cause additional shocking health problems such as fatigue, headaches and nausea. Mold is a rapidly growing danger that only increases with time, which is why it’s important to fully eliminate any signs of mold damage swiftly. Because mold damages can be pervasive, they can be expensive problems to fix. You should never cut corners when addressing mold damage, any spores left can reproduce and reintroduce the problem all over again. This is why it’s important to receive your fair insurance settlement to enable comprehensive and effective damage repairs. Our team at Florida’s Best Public Adjusters can help with each step of your insurance claims process at no upfront cost to you. Our services can help you secure the most appropriate insurance settlement. Many of our clients have received settlements well above the insurance company’s initial offer, enabling them to fully restore their mold damages. We aim to repair any mold damages with effective methods which completely eradicate the problem. Our trusted solution providers can fix the physical components within your home and also address the lasting effects of mold damage. We’ll help you ensure that your air quality is free from the presence of mold spores, and we can help clean any fabrics which have been exposed to the mold. 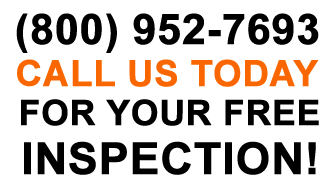 Our assistance with the various aspects of your mold insurance claims and repair is offered at no upfront cost to you. If your home has mold, don’t ignore the growing problem, call for your free in-home inspection and diagnosis.